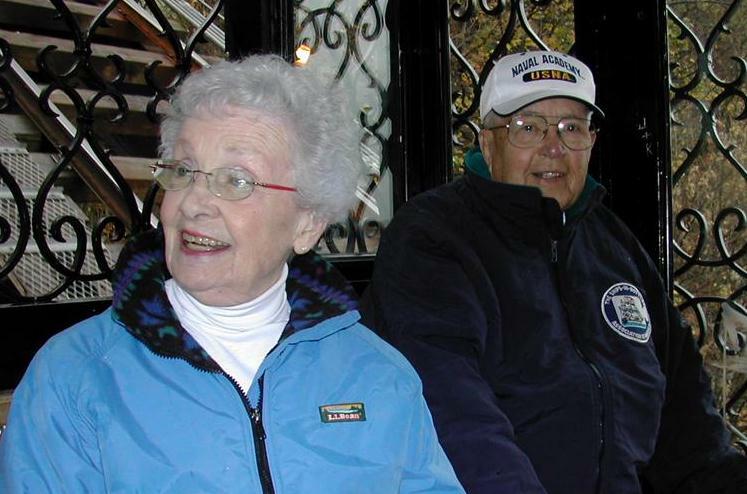 Sadly, we learn that Jack Hinkley, the first President of the Ship in Bottle Association of America passed away on Saturday, January 20, 2012. Rest in Peace, Jack. 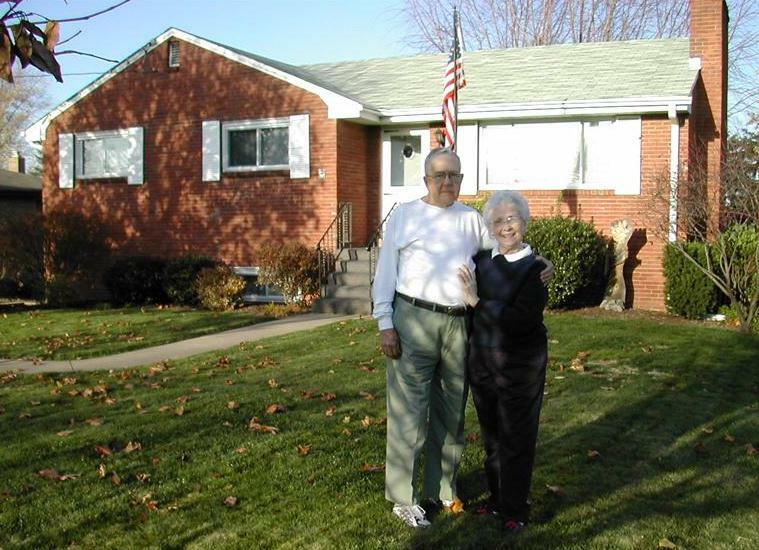 Several years ago, Johnston (Jack) M. Hinkley's daughter bought him a book for his birthday called “Ships-in-Bottles” by Commander Don Hubbard. Although glad to get the book, Jack was already well-versed on this craft having built miniature models for more than 60 years. 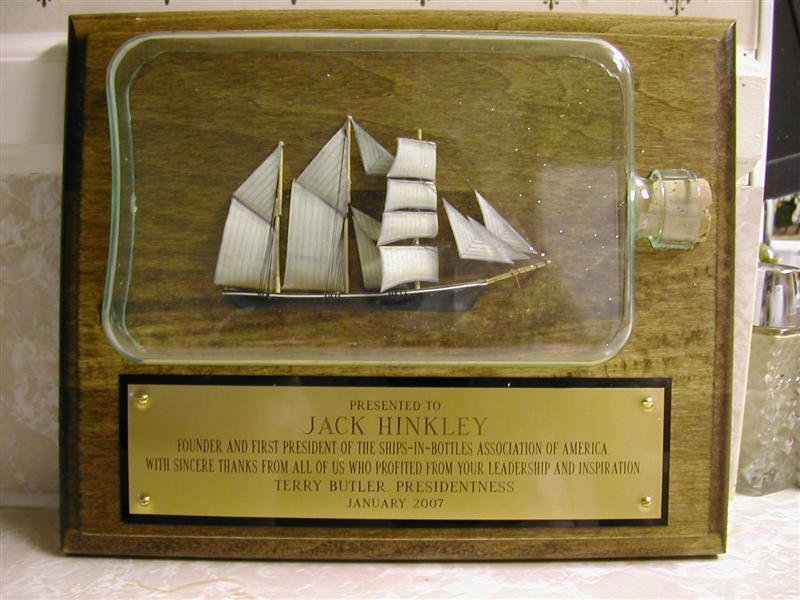 As a Boy Scout in the early 1930’s, a man spoke to Hinkley’s troop about his hobby of creating miniature ships in bottles. The young boy took one look at the tiny vessel and knew if the man in front of him could do it, he could as well. Hinkley went home and emptied a bottle of cough syrup into the sink. 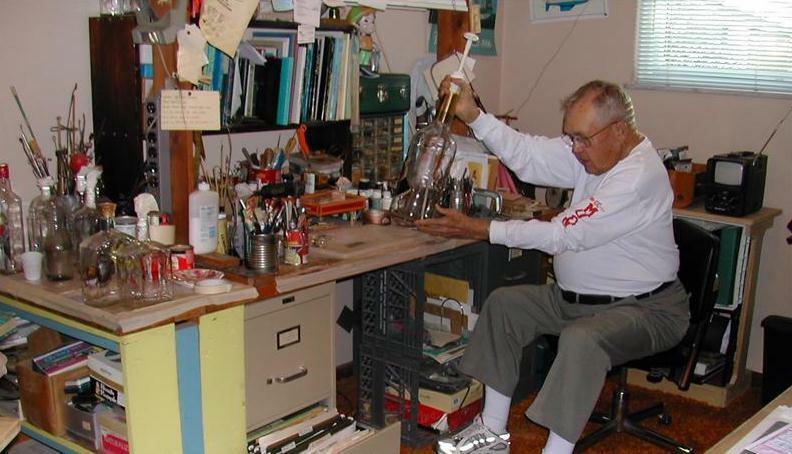 After cleaning the glass, he lined one of the bottle’s longer sides with paraffin to create an ocean. Since the, Jack, who is retired from Northwest Airlines, has built tiny ships from wine bottles to microwave oven light bulbs. In 1983 became co-founder of the Ships In Bottles Association of America with Don Hubbard and was named President of the Association, a position which he held until December 31, 2006. Jack uses everything from model clay to dentist drills to make his ships. Among his tools is one of his own invention: the Hinkley Hinge is used to connect the ships’ masts. Hinkley is most proud of his three tributes to the War of 1812: The Hamilton, The Scourge and the Ghost ships. He enjoys taking his models out on what he called his "Dog and Pony Show" to any and all organizations that requested his appearance. Jack recently received a very special plaque, handmade by Terry Butler, thanking him for his years of service to the Association. Jack also enjoys drawing cartoons. He has had many of his cartoons published over the years.